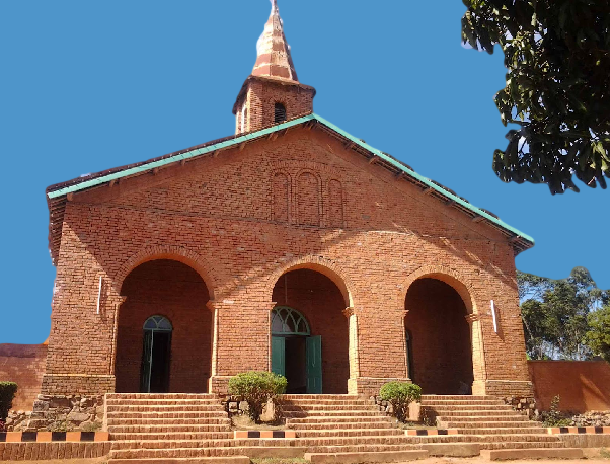 The Catholic diocese of Bukoba was first evangelised in 1892 by the Missionaries of Africa (White Fathers) led by bishop Joseph Hirth who was running from turbulent Buganda (in Uganda). In December 1892 they founded their first mission at Kashozi some 16 kilometers from Bukoba. From 1994 when South Nyanza vicariate was cut from Uganda, Kashozi became its Episcopal see including all the lake zone and Rwanda. The first ten years were difficult as they were opposed by the tribal chiefs, traditional priests (embandwa) and even by the German officials who did not like the Christian message that was preached to the people. The second mission was founded at Katoke in Biharamulo presently Rulenge - Ngara Diocese but it remained dormant until 1902. It was the coming of Von Steumer as the German head of the station at Bukoba that changed the fortunes of the missionaries. He supported their efforts especially in the field of education. From then on education became the main tool of evangelisation. They slowly opened other missions, Buyango (1902) which later moved to Mugana (1905), Kagondo (1904), Rubya (1905) and Bukoba (Bunena 1910). From then it grew and developed institutions. The vicariate under bishop Hirth opened its seminary at Kyegoromora (Kagondo) in 1903 and later moved it to Rubya in 1904 which had the first priests in 1917, a great achievement. The first priests were from Bukoba, Mwanza and Rwanda, the two from Bukoba were Fr. Willibald Mupapi and Fr. Oscar Kyakalaba. In 1964 Ntungamo major seminary was opened and from 1967 it serves as a philosophical regional seminary. In 1912 Rwanda was cut off from Nyanza vicariate taking bishop Hirth with it and Nyanza came under bishop Joseph Sweens who resided in Rubya. In 1929, Kagera was separated from the rest of the Lake Zone and was made into a vicariate of Bukoba that comprised the present dioceses of Bukoba, Rulenge-Ngara and Kayanga. In 1933 a congregation of African sisters of St. Theresa of the Child Jesus was formed and has developed and to-day has almost 500 members well prepared and doing wonderful work. It replaced the pious women association of Bashomesa founded by bishop Sweens in 1924. The Theresian sisters are now working in three countries, Tanzania, Kenya and Burundi. In 1952 from Bukoba was created a small vicariate of Lower Kagera later named Rutabo diocese for a local bishop, Laurean Rugambwa. In 1960 Rugambwa was created cardinal by Pope John XXIII and was given the whole of the then Bukoba district as Bukoba diocese and the rest were formed into Rulenge diocese. This was a great honour for Bukoba and Tanzania as he was the first African cardinal ever, a prince of the Catholic Church. In 1969 he was transferred to be archbishop of Dar es Salaam and his former auxiliary bishop Gervase Nkalanga who was then Apostolic Administrator in Kabale, Uganda was appointed bishop of Bukoba (1960 – 1974). 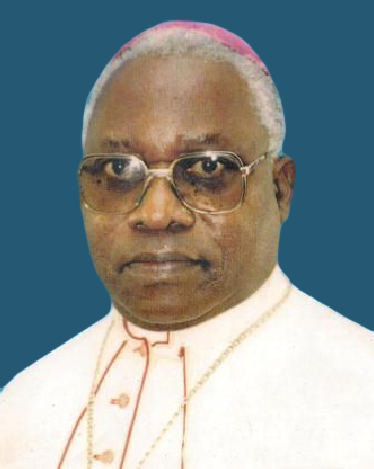 Since 1974, the diocese was under Bishop Nestor Timanywa up to the year 2013. Moreover, since January 2010, bishop Timanywa was assisted by the auxiliary bishop, Method Kilaini, the former Secretary General of the Tanzania Episcopal Conference (1991-2000) and auxiliary bishop of Dar es Salaam (2000 – Dec, 2009). By the end of the year 2012, the diocese had 31 parishes with 529,444 Catholics in a total population of 877,000, inhabitants equal to 60.4%. There were 113 diocesan priests working in the diocese with a good number outside the diocese especially in national and international institutions.There were 512 religious women from 7 congregations the majority being those of the old diocesan sisters' congregation, the Theresian sisters. The diocese has another diocesan sisters' congregation, the "Daughters of Mother Mary of Perpetual Help" which had about 46 members. The diocese up to the year 2012 had three hospitals of which two are designated district hospitals namely Mugana and Rubya while Kagondo is a VA hospital, three health centers and three dispensaries. The diocese also had nursery schools (kindergartens) in every parish and big outstations, primary schools, secondary schools, one Teacher Training college and a Nurse Training School. From the year 2013, following the retirement of Bishop Timanywa, the diocese has been under Bishop Desiderius Rwoma, assisted by the auxiliary Bishop Method Kilaini. Now the diocese of Bukoba is trying its best to be on the frontline not only in spiritual matters but also in development.